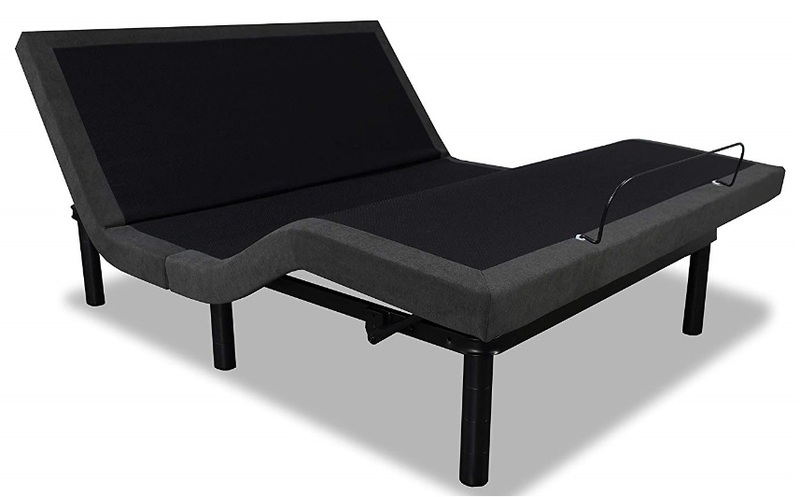 Adjustable beds are now available in every price range. Of course, the more the features, the higher the price. Of late, owing to intense competition between several companies, the prices have significantly come down and the number of features have increased. Advanced features are embedded into mid-range and low-end adjustable beds and their prices too are now well within affordable budget. 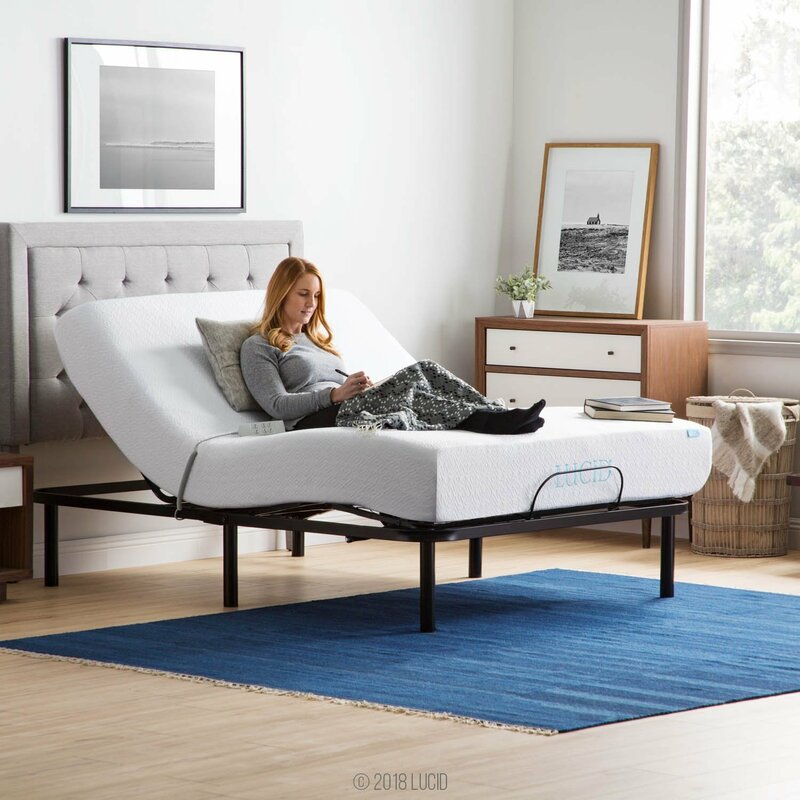 In this review, we are going to look through very basic adjustable beds whose price is as low as a memory foam mattress. If you are looking for one of the simplest adjustable that offers just head and foot adjustment then Lucid L100 adjustable bed is the best and cheapest option. It is most suitable for people who are looking for a hospital bed like basic one but at affordable price. Apart from basic adjustments, Lucid L100 does not include either massage functionality or any of the advanced features. If you are looking for some advanced features, then Lucid L300 adjustable bed is another option. And if you are altogether looking to avail all advanced features then best available option is iDealbed 4i custom adjustable bed. Lucid L100's head section can be tuned all the way up to 58 degrees while the foot section adjusts up to 40 degrees. L100 neither offers any preset positions nor memory savable positions. All you can do is manually adjust the incline to your preferred angle. Whereas L300 comes with "FLAT" preset position and "1 memory" savable position. Both Lucid L100 and L300 come with the simplest of remote controls. While L100 offers wired remote, L300 has wireless remote. The below image speaks for itself. Lucid L100 does not offer any USB ports whereas L300 comes with 4 USB ports, 2 on each side. That's the biggest selling point for Lucid L300 adjustable bed. Both L100 and L300 come with fixed height of 15 inches. There are no individual height adjustable legs, its all fixed. Yet, 15 inche from the ground is the ideal height for both tall as well as short height people. Both come with standard single mattress retention bar at the foot level. 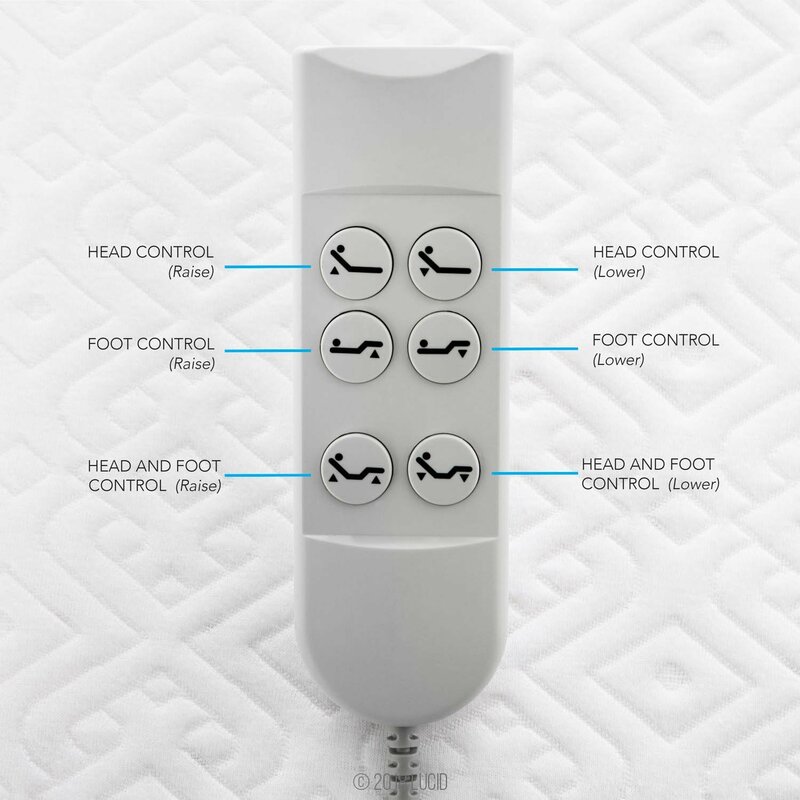 This is "the best feature" of Lucid adjustable beds. The company claims of hassle free 5 minutes easy installation and assembly process. iDealBed adjustable beds are industry famous for their performance and affordability. The company first launched 4i custom adjustable bed model with features of a mid-range adjustable bed. Later on, it launched iDealBed iEscape model which is the high-end model from the company and includes several advanced features. 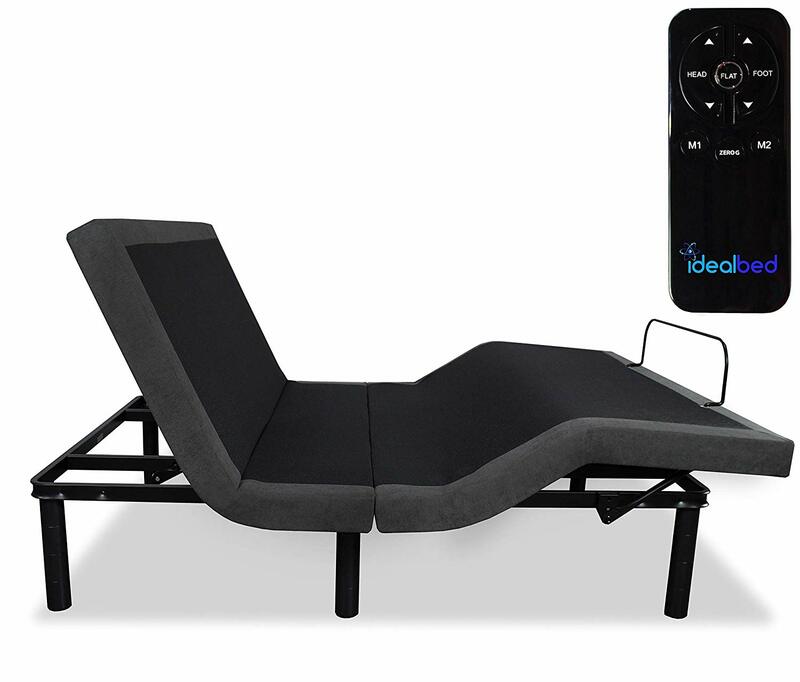 And now, it has introduced the most affordable adjustable bed in the market, iDealBed 3i Custom adjustable bed. Although, price-wise this model falls into basic adjustable beds segment but it offers certain extra features which are usually not offered by other beds in this price-range. However, iDealBed 3i does not include massage functionality. Hence, if you are looking for a basic adjustable bed without the need for massage functionality, then there is no match to the price and performance offered by iDealBed 3i. 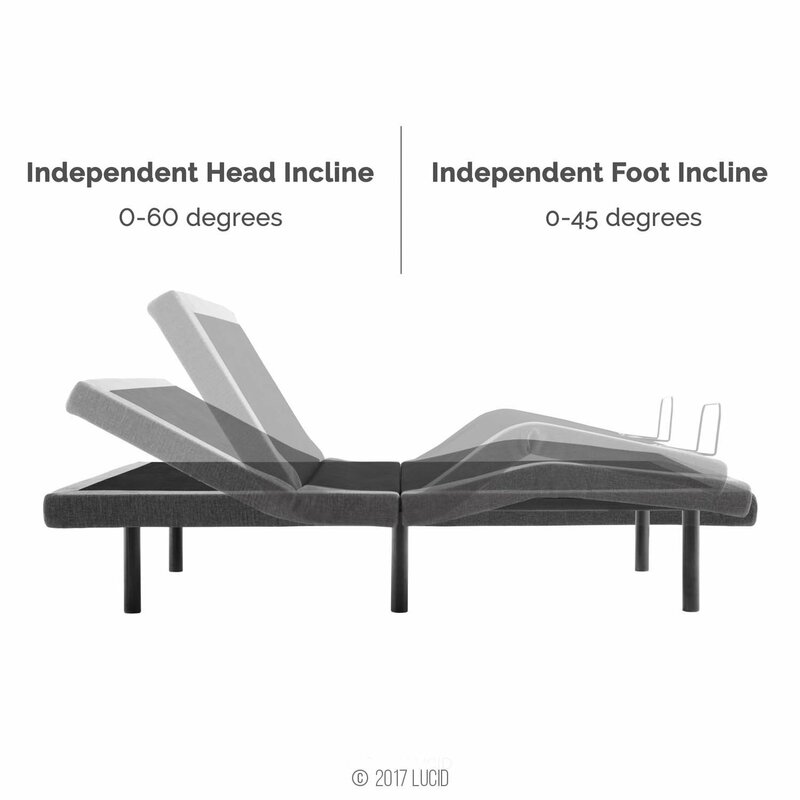 While the feet articulation in iDealBed 3i is similar to other adjustable beds but the head section adjustment is enormous and all the way up to 70 degrees. This range of adjustability is only seen in mid-range and high-end adjustable beds. Both iDealBed 4i and iEscape too offer 70 degrees of head section tilting. iDealBed first launched mid-range and advanced adjustable bed models into the market. And basic model was introduced later on. This perhaps prompted the company to use the same motors in the basic version as well. Hence, the overall lift capacity is same as in mid-range iDealBed 4i and advanced iDealBed iEscape models. 850 lbs lift capacity is relatively on the higher side and surely a great deal at the quoted price. Not just basic adjustable beds but even most mid-range adjustable beds on the market only offer traditional mattress retainer bars. 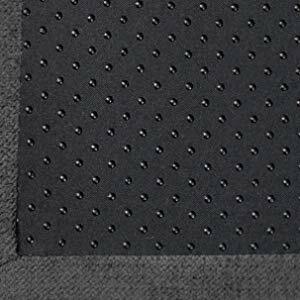 However, iDealBed 3i comes with advanced micro-bead fabric that grips to the mattress and holds it from sliding sideways or downwards while performing adjustments. Additionally, mattress retainer bar is also included in the package. 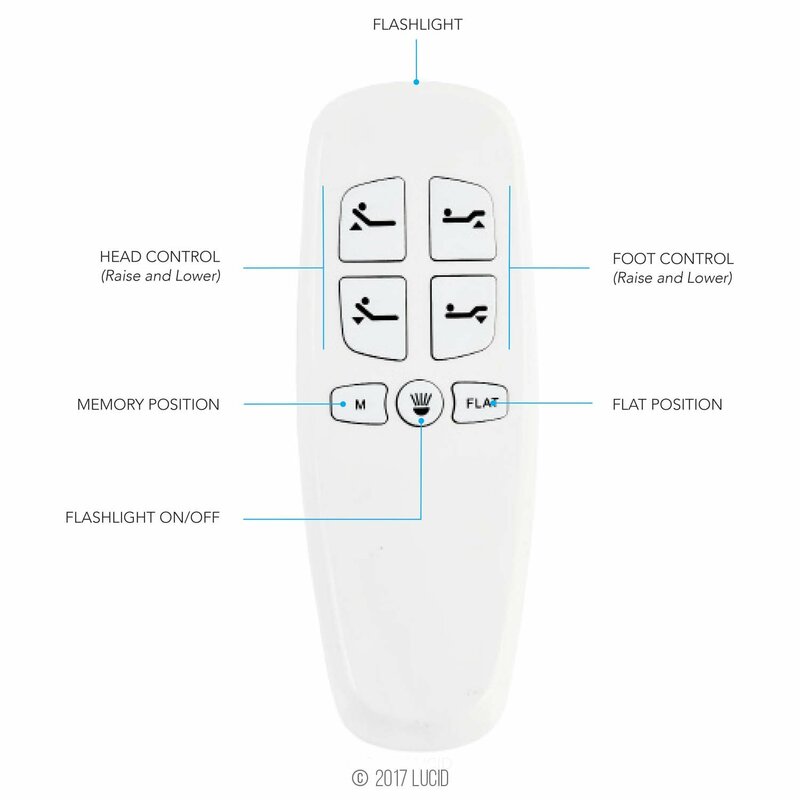 Yet again, iDealBed has scored well above the rest by offering wireless, backlit remote control instead of just a wireless standard remote that other basic models have to offer. It has total 8 functions and is ergonomically designed so as to fit perfectly into your hand. Another takeaway from this model is the number of custom memory programmable positions. While other basic adjustable beds offer absolutey no memory savable positions, iDealBed 3i offers 2 positions. You can tune the head and feet sections to your desired angles and save them as either M1 or M2. 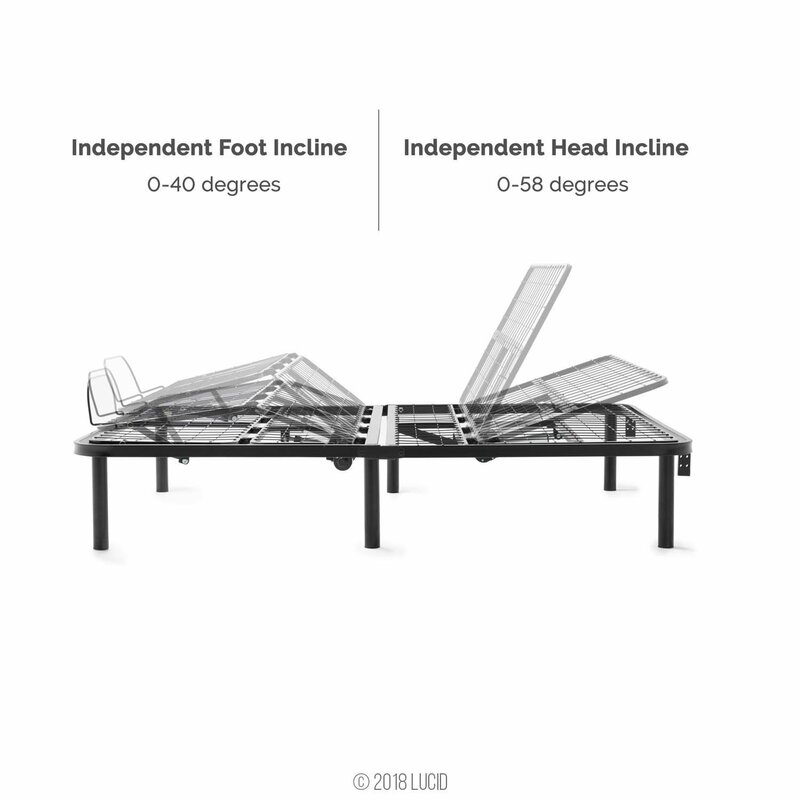 While both Lucid L100 and L300 adjustable beds do not offer height adjustibility, iDealBed 3i comes with 3 individual leg units thus offering 6 inches, 9 inches and 12 inches of height adjustability. This feature wasn't part of traditional adjustable beds, however, all new generation beds do come with emergency power backup. While its missing in Lucid L100 but power backup is offered by both L300 and iDealBed 3i. In case of power outage, this feature brings the bed back to Flat position making it easy for you to get in and out of the bed . iDealBed 3i comes in charcoal color and thus fits all types of decor. The quickest and simplest of all is the assembly process. IdealBed 3i comes almost fully assembled, including the motors. All that you are required to do is to attached the individual leg units and your bed is ready to use. It is compatible with all types of bed frames as well as mattresses. Absolutely no limitations on compatibility aspect. The company offers 10-Year warranty on iDealBed 3i model.